I’m tooting my own horn here, but my “other” job – as if chicken consulting weren’t enough of a vocation – is editing, writing, and translating. I got a email a few months back, stating that someone was looking for someone to convert a book by a British writer to American English and practices. The topic: Chicken keeping. 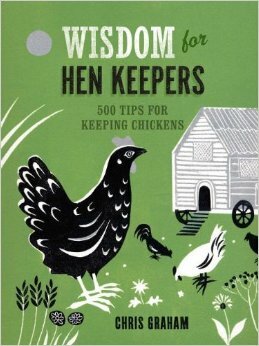 Here is the result, hot off the press: Wisdom for Hen Keepers. I got my smart-looking little comp copies today. It’s a nice little book, chock-full of chook wisdom. While I can’t take credit for the bulk of the content (I’ll leave that to Chris Graham), it was a fun little project that I’m proud to have had a hand in!